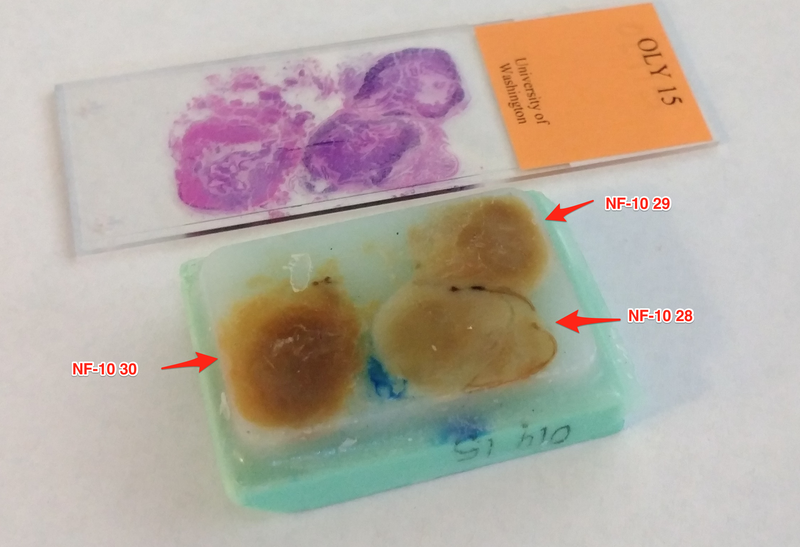 This entry was posted in Samples Received and tagged Fiorenza Micheli, green abalone, Haliotis fulgens, histology on 21 November, 2017 by kubu4. 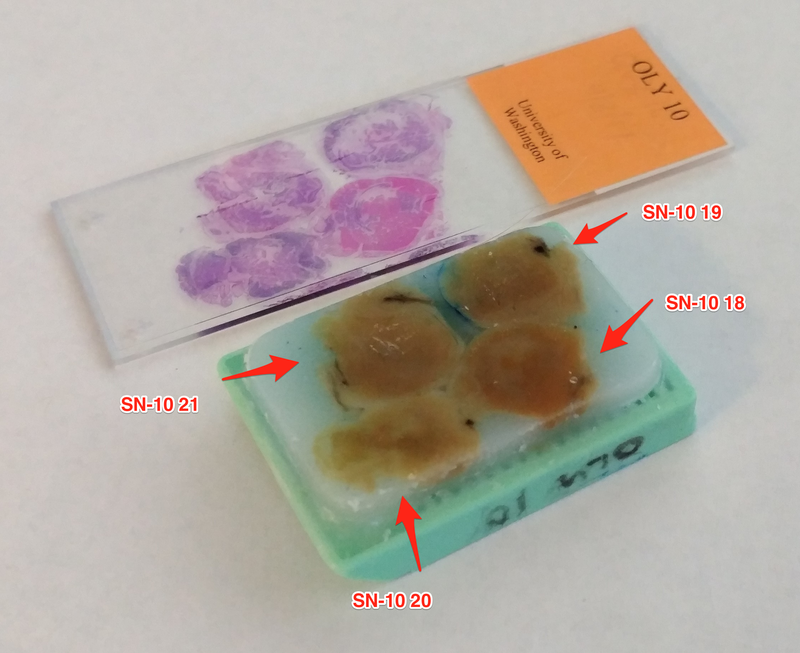 This entry was posted in Samples Received and tagged green abalone, Haliotis fulgens, histology on 16 October, 2017 by kubu4. 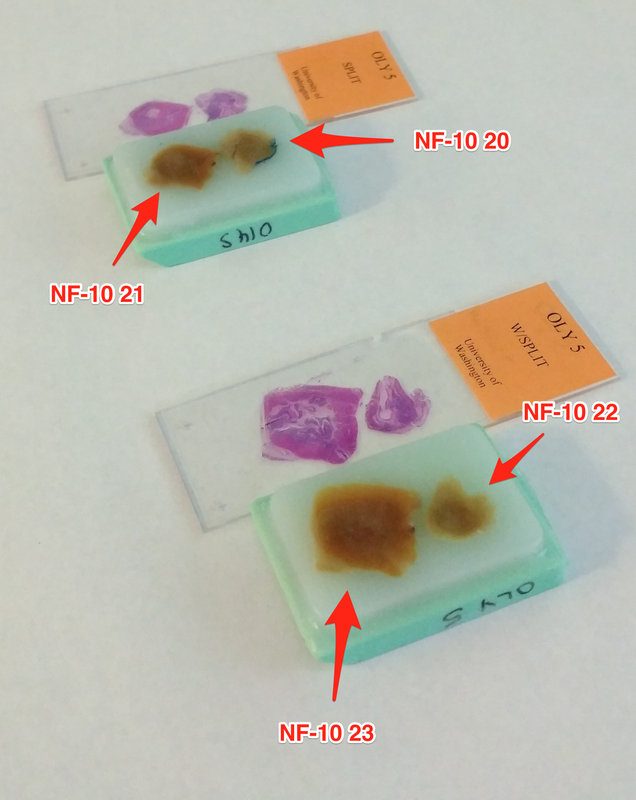 This entry was posted in Samples Received and tagged 15:30-1, 15:30-2, 15:30-3, 15:30-4, 15:30-5, 15:30-6, 15:31-1, 15:31-2, 15:31-3, 15:31-4, 15:31-5, Haliotis kamtschatkana, histology, pinto abalone on 31 July, 2017 by kubu4. 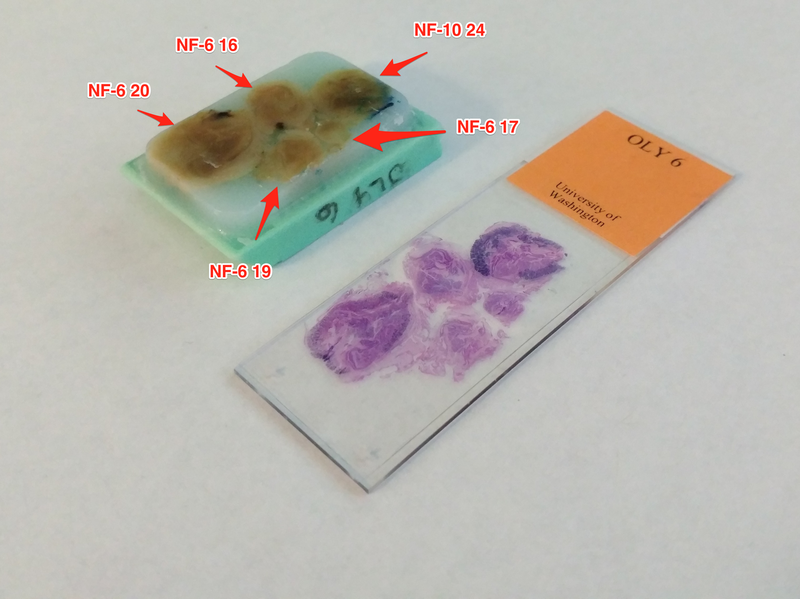 Received histology blocks and slides for Laura Spencer. 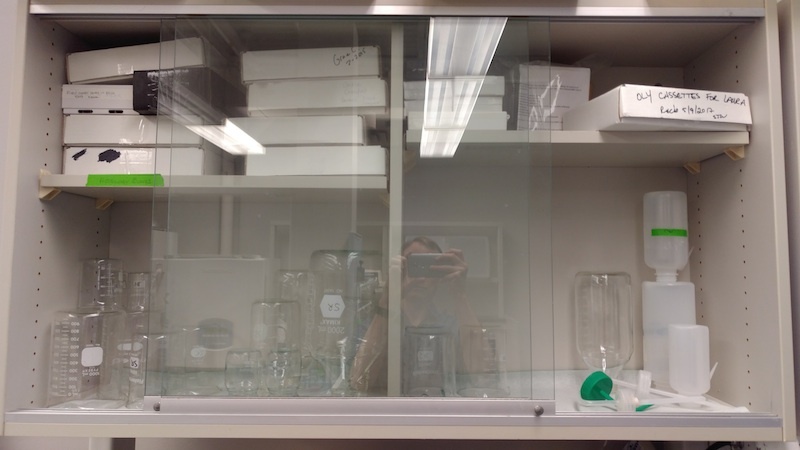 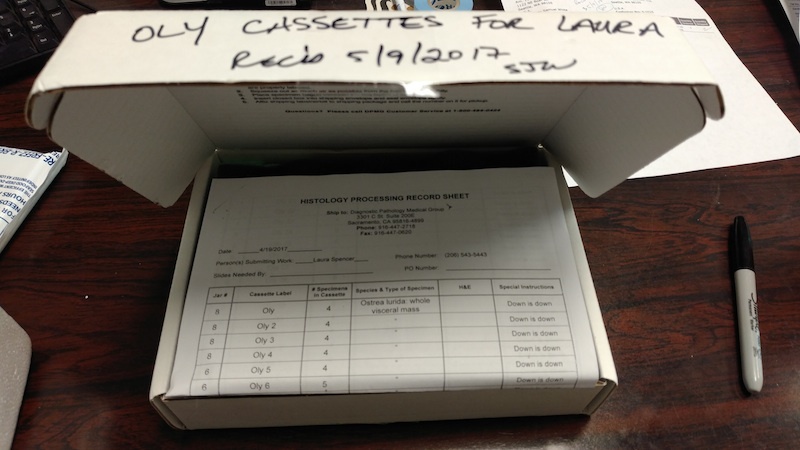 Samples were stored in glass cabinet in FTR 213 (see images below). 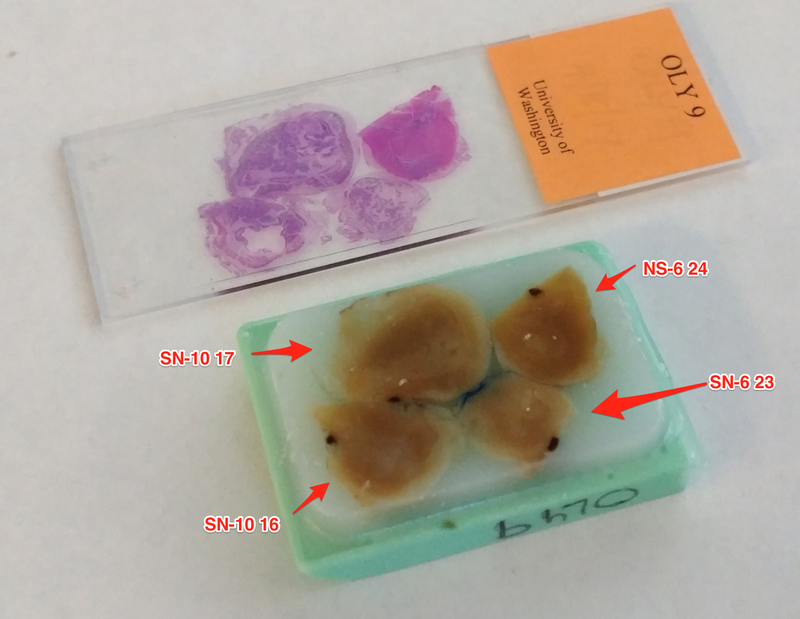 This entry was posted in Samples Received and tagged histology, histology cassettes, olympia oyster, Ostrea lurida, slides on 9 May, 2017 by kubu4. 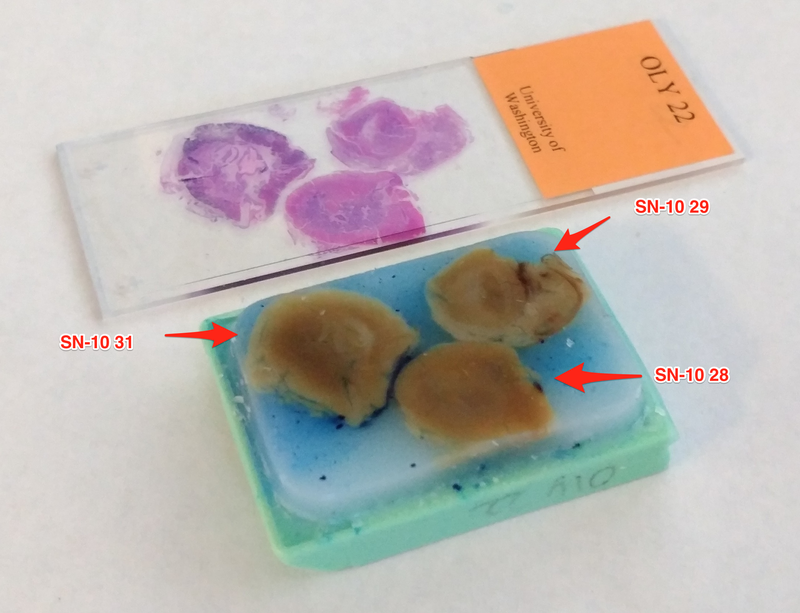 This entry was posted in Samples Received and tagged Fiorenza Micheli, green abalone, Haliotis fulgens, histology on 24 April, 2017 by kubu4. 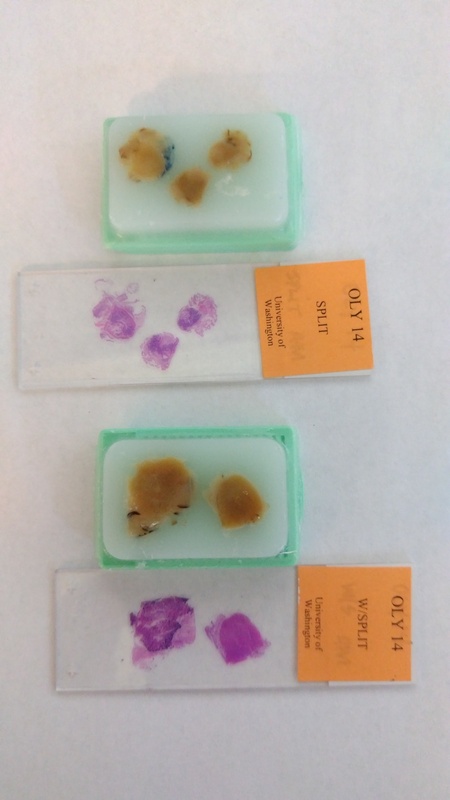 This entry was posted in Samples Received and tagged Fiorenza Micheli, green abalone, Haliotis fulgens, histology on 14 June, 2016 by kubu4.